There is a flea treatment for humans, a treatment for house-pets, a treatment for the home and treatment for the yard! Flea treatment works hand in hand with flea extermination, prevention and control. Plan your flea treatment carefully; as if you have more than one person, house-pet or place to treat they will need to be done in synch. If a human is bitten by a flea, it can cause a red elevated itchy spot (sometimes slightly bleeding skin if scratched). These could be all over the body, not just within the hair on your head as bites around the legs and ankles are quite common too (certainly for people that work outside in the summer). The bites can sometimes be in batches. How allergic one may be to flea bites differs depending on the individual person; however there is a treatment for the bite so don’t panic. The most important thing is to not scratch the bites. There is a chance of further infection if you do this, so avoid scratching and simply start by cleaning the bites with an antiseptic soap in cold water as an initial treatment. If the bites are raised, then you could try to reduce the bump by placing a bag of peas from the freezer (or any other home made ice pack) on them. Calamine lotion (or any other anti-itch cream) is then good treatment to apply for the relief of minor skin rashes and irritation. If this fails to clean up the bites in a day or two, or if the bites get worse then it may be best to see your doctor. Once you have treated the flea bites, ensure you use an effective flea repellent (Deet) to avoid anymore. 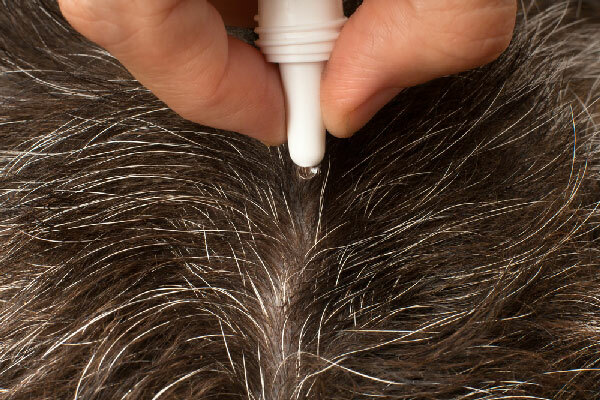 A good treatment shampoo to use that is gentle to your scalp is tea tree if you flea bites under you hair. 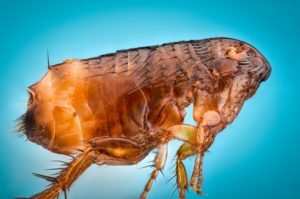 If your pets have been bitten by fleas, then you should act quickly. Whilst treatment to the pet is of the upmost importance you will have to ensure that the pets living quarters are also fully treated and any fleas or eggs are eradicated from the home. For this you will need to target the fleas in every stage of their life cycle, using adulticides for the adult fleas and an insect growth regulator for the eggs, larvae and pupae. A quick fix for you would be to take the pet to the Veterinarian the same day that you clean the house. That way, the pet can be taken out of the home, their treatment applied and returned to a clean environment. If you choose to tackle the pet’s fleas at home then you can begin by trying a flea bath. Use a flea shampoo and massage it into the pets’ coat as treatment. A tip is to wear protective gloves so that you avoid any flea bites yourself and also so you don’t get scratched (which is likely if you’re trying to treat a cat). Keep a second bowl of hot soapy water aside and then any fleas you physically pick off the pet can be dropped into the bowl for drowning. A medicinal treatment could also be applied in addition to the flea bath (seek advice from your vet). If you’re a cat owner then it may be a more popular choice to use a spray or powder as a treatment. An additional treatment for dogs is a flea collar (which can be homemade). These are made through the use of essential oils. Remember to regularly groom your pets outside so that if any fleas are there, the fleas and eggs will not infest the home. Also, try to limit their exposure to wild animals that may carry fleas – by keeping the pet on a leash or protected by a fence around the property. 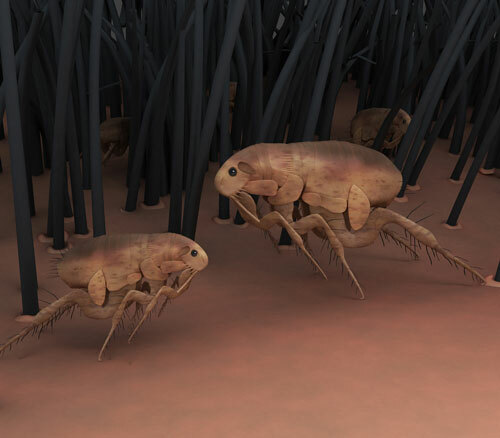 If you have fleas in the house, then you need to thoroughly investigate the property and ensure that you are targeting every area where the infestation can be – again, that includes adult fleas as well as eggs, larvae and pupae (using adulticides and IGRs). 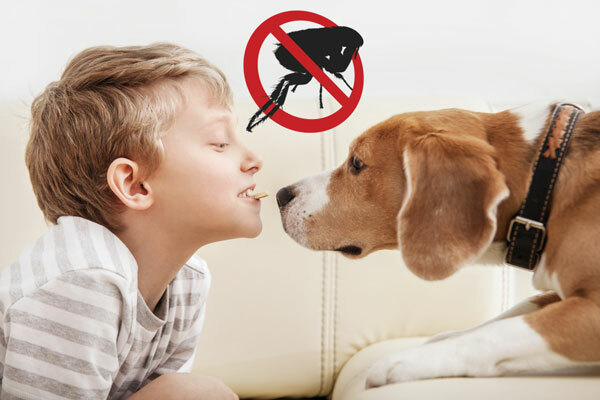 If the flea infestation is bad, then you should consider clearing the house of pets and people and purchasing a flea fogger treatment that will kill the fleas through the use of chemicals. You will have to be out of the home whilst this takes place and then leave the area to air afterwards (always carefully read the instructions). Insecticide sprays may be a more appealing treatment, which can be bought from a number of suppliers or perhaps a flea bomb. To find out how many fleas you may have on your hands you could also set up a number of flea traps, which will attract the fleas and drown them or glue/stick them to a plate (depending on if you make one or buy one). Whichever treatment you choose, it is recommended that you regularly vacuum the home, ensuring that all carpets, floor boards, cracks, window sills, curtains, furniture, cupboards, under mats and rugs (basically everywhere the vacuum cleaner will go) are all thoroughly cleaned. Dispose of the vacuum bad immediately afterwards. The Flea will try to get out of the bag and back in the home, so dispose of it comprehensively – not in the garbage under the kitchen sink. Be sure to clean and wash all bedding, sofa covers and blankets regularly also. If you have a thick carpet in the home (ideal for the eggs to drop into and larvae to take up home), then it may be a good idea to use a powder as treatment. Borax and diatomaceous earth can be added to carpets before vacuuming, but be sure to keep pets and children away and where a mask so that you do not inhale any. Finally, it’s worth noting that flea populations flourish in warmer and humid temperatures, so if there’s anyway you could adjust the temperature in the home (make it cold) then this may prevent the fleas developing whilst you work your way through the various treatments above. If you have fleas in the yard, then you want to avoid bringing any of them into the house or infesting any house pets. Remove any leaves and completely brush the yard (seal and dispose of the bag properly). If you have a lawn, cut it short and dispose of the grass in the same manner. You may also want to apply a treatment spray to any tools and equipment you use with an insecticide. If you have a dog kennel outside in the yard then ensure this is thoroughly cleared and cleaned. Kennels can be targeted with an insecticide treatment whilst the dog is elsewhere. Ensure that any product used is safe for dogs to return to. After cleaning the kennel, you could grow fennel next to the area which is apparently a natural repellent for fleas. Insecticide can be applied to all likely areas of infestation, however again make sure there aren’t any children nearby and it may be courteous to let your neighbours know. Fleas like dark (shaded) and moist areas, so check under all shrubs, plants, decking and flower beds and scatter some cedar wood chips as a treatment. You could also look to spread diatomaceous earth to the lawn to assist with the killing of fleas. Why not plant some natural flea repellent plants/herbs around the yard? Lavender, eucalyptus, mint and rosemary will all work, they look great and you could use them for cooking and homemade flea sprays! As you are searching for Flea Treatment perhaps the subject of Pet Health Insurance should be considered. Remember pet health insurance for treatment of health and medical problems caused by flea bites. The subject of Flea Treatment might lead to unexpected visits to the vet and veterinary treatments for your dogs, cats, kittens, puppies and pet rabbits due to illnesses caused by bites from fleas. These can quickly mount up so get quotes for health and pet insurance coverage for treatment of illnesses, prescriptions and possible hospitalization treatment. Please remember that if you are in any doubt about the health of your pet, or problems associated with flea bites please consult your Veterinary Specialist immediately for professional treatment. Your vet will diagnose the problem and prescribe appropriate medication and treatment. Infestation in your home? Need Treatment? Get rid of fleas!